Hot off the Press! ~ Jane Austen’s Regency World ~ No. 57. 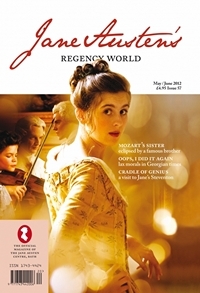 Via Deb at Jane Austen in Vermont, here is the the info on the new issue of Jane Austen’s Regency World Magazine May/June 2012.